Are you looking for professional transmission service in the Gainesville, FL area? Look no further than Terry’s Automotive and Qwik Lube! We offer brake repair, engine service and any other auto repair service you might need! Come on in today for an engine diagnostic and we’ll take care of you. Fast, friendly and affordable auto service is just a phone call today! Pick up the phone and call Terry’s Automotive.For all your auto care needs, contact Terry's Automotive & Qwik Lube of Gainesville, FL. 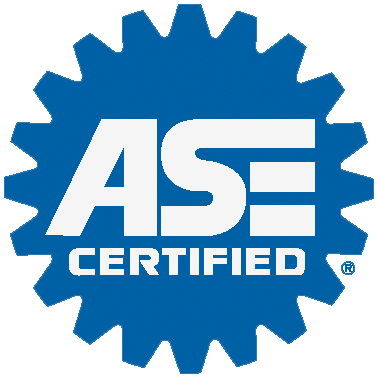 Our Automotive Service Excellence Certified Team provide complete diagnostics and repair services for almost any make of car, truck, or RV. We have specialized equipment and facilities designed for RVs and/or heavy duty trucks that are not available elsewhere in the Gainesville Area. In essence, we provide any automotive services needed with the exception of body work and exterior painting. No Appointments Necessary! RV Service - we are one of a handful of shops that has the ability to work on RVs and other long and wide wheel base vehicles at the Archer Road Shop location. We have invested tens of thousands of dollars in specialty tools and equipment to serve you. Come on down and take a tour of our facility or send us a question (Ask the Expert) if you have a specific concern or issue to resolve. What Makes Your Business Better Than The Competition? We know taking time out of your busy schedule to have work done on a vehicle can be a real inconvenience. That’s why we focus on making the process as painless and efficient as possible. More Than 97% of our repair and service jobs are done right the very first time, compared to an industry average that is about 60%. That means we are more than 10 times better than average and that saves you time and hassle for rework. More than 98% of our repairs are completed ahead of schedule or on-time…that means no unplanned waiting. We also give you a cost estimate that is never exceeded…period. These are just a few of the 7 key points that makes us different. Please click on the “Complete Services” button to see the others. You can even read the testimonials and see the letters and cards from our customers. There is a reason why they keep coming back and have rated our service #1 in Gainesville. JASPER ENGINES & TRANSMISSIONS We proudly recommend JASPER an industry leader since 1942. With their extensive research, they have insight to correct problems in original manufacture design, improving their products performance, reliability and durability for engines, transmissions, and drive trains.